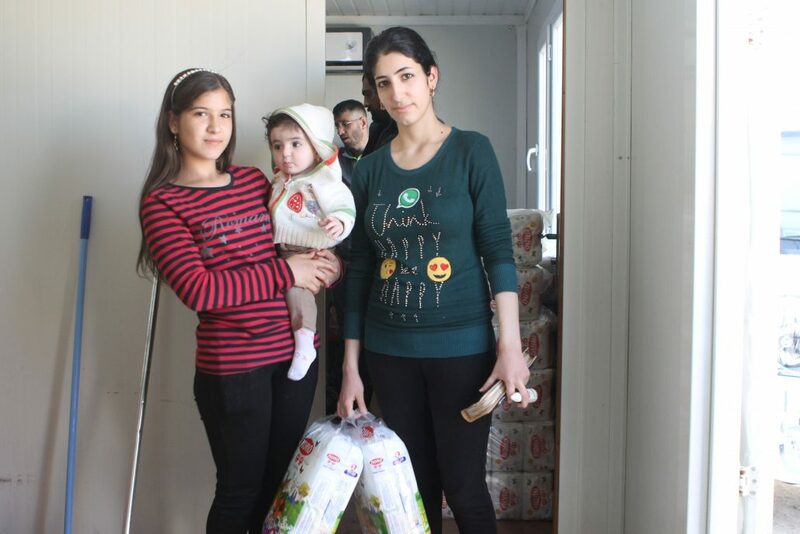 Over one million diapers were delivered to Christian families in need in Iraq and Jordan during 2018. 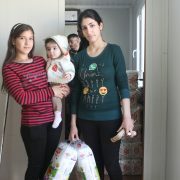 However, even more help is needed for Christian families on the Nineveh Plain in 2019. Many of the Christians who fled persecution from the Islamic state are now heading back to their looted and destroyed homes in desperate hopes to begin rebuilding their lives. While gifts of food and donated clothes are often adequate, the need for diapers has been largely unmet. The electric power plants, water treatment plants, water pumping stations, power lines, and water pipelines were destroyed by bombings from the Islamic State. The well water, being extremely salty, makes washing cloth diapers impossible. The salt from the water would irritate the sensitive skin of the babies and cause rashes. The whole purpose of the Diapers for Refugees program is to reduce or stop completely the problem of severe diaper rash that can cause bacterial infections as well as provide sanitary pads to struggling mothers. Every dollar's worth of diapers we can furnish to families in need is one more dollar they have to rebuild their shattered lives. We must come along side our brothers and sisters in Christ as they fight to rebuild their lives. Our current goal for the Diapers for Refugees program in 2019 is to provide more than 100,000 diapers per month. $20 covers 1 month supply of diapers for 2 children. $40 covers 2 month supply of diapers for 2 children. $60 covers 3 month supply of diapers for 2 children. $120 covers 3 month supply of diapers for 4 children. $180 covers 3 month supply of diapers for 6 children.